Actually, we do. We need to think about how we want to release that. Send us an email if you want to know more. I used TDD type techniques when paired/extreme programming first came out in the late 90's. Unfortunately I was still fairly green behind the gills then and much of what I learned from it has since fallen to the way side as my career has taken its course. I'm very much wanting to put TDD back to the forefront and bring my development team and me up to speed on it. 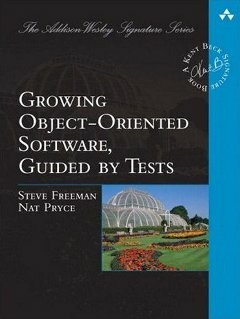 I've been hunting for a really good book that covers TDD from beginning to end. I really like the approach you two have taken so far and am looking forward to the final product. Until then, I will gladly settle for your drafts.